Scaling up Co-design Research and Practice: building community-academic capacity and extending reach was a collaboration between a number of academic institutions and civil society organisations that set out to explore how co-design practices could extend the reach and impact of the work of civil society organisations. Scaling Up Co-design Research and Practice brought together academic and civil society partners with considerable, and varied experience of both the study and application of co-design and co-production processes. The project set out to explore how we could extend the impact and reach of our own work, to extract learning on different co-design practices, and to develop approaches and tools to help others take up and benefit from co-design. This was truly co-designed research, with all project partners working together to frame a research question and design the research activity. Through discussion, debate and diagrams, we mapped our individual and collective interpretations of scaling up and a research project that would explore different models for scaling up co-design through a series of collaborations across the civil society partners’ live and emerging projects. Our aim was both to share our different co-design practices with each other, and to enrich the work that each of us was doing through collaboration. Introducing a Glass-House place-based module into Silent Cities community journalism training in Sheffield. 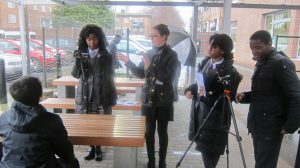 Bringing Silent Cities media training into our work with young people in the redevelopment of Elephant and Castle, London through our Make it our Neighbourhood project with the Citizenship Foundation and developer Lend Lease. Collaborating with the Blackwood Foundation and their Bespoken network, bringing personal perspectives around disability and access into our module for Silent Cities, our work in Elephant and Castle, and through partnership on our Glass-House Debate Can we improve health through placemaking? in Edinburgh in October 2013. Working with Brunel University delivering a workshop for MA students of Design, Branding and Innovation which helped them to explore their emotional and sensory relationship with their environment, and support them to embed a user-led approach in their practices. The project culminated with a Scaling Up Co-design event, at which we shared our learning and introduced new approaches and tools for co-design to participants. Scaling up Co-design Research and Practice was a collaborative action research project led by the Open University, with academic partners Brunel University, Northumbria University, Sheffield Hallam and civil society organisations The Glass-House, Silent Cities, The Blackwood Foundation and Fossbox and Flossie, as well as freelance researcher Hannah Goraya. 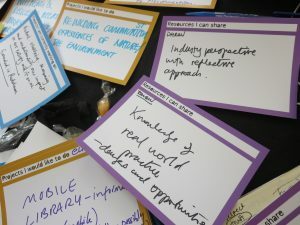 The project was one of ten projects funded by the Arts and Humanities Research Council’s Connected Communities programme under their Co-Design and Co-Development strand. This was an innovative two stage funding programme which supported the co-design of the research by all project partners in the first phase, and its implementation in the second phase. The project produced a series of collaborations within the Scaling Up project team, which intersected with other partners and participants in the various live projects and created new opportunities for both collaborations and scaling up co-design practice beyond the confines of the research project. Through the project, we developed tools, resources and approaches that we have shared more widely, and have taken into built environment and community based sectors to support a more collaborative approach to developing projects, mobilising collective resources and capturing and sharing learning. Through the various collaborations, The-Glass-House was able to both enrich our own work, and contribute to that of our partners. We also collectively enabled and empowered new champions for our work, and for co-design practice more generally. In 2014/15 we revisited Scaling Up Co-design through the legacy project Starting from Values: Evaluating Intangible Legacies project, led by Brighton University. With the benefit of hindsight, we explored the impact that the Scaling Up Co-design project had had on our organisation, our collaborations and on those we support. 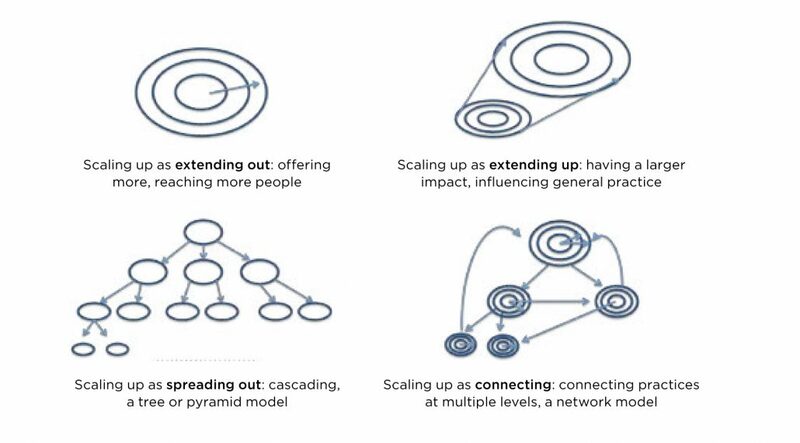 This evidenced the great impact of Scaling Up Co-design on our practice, and helped us better articulate and implement our various approaches to scaling up our impact and reach. Can we improve health through placemaking?